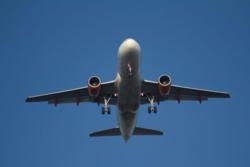 Updated flights - 3 hours of current arrivals and departures or check weather. Located at 8°44.53S 115.10.3E, 14 feet (4 meters) above sea level, Bali - Ngurah Rai International Airport (Denpasar) is located 13 km south of Denpasar and 2.5 km from Kuta. One runway, presently being updated. The parking area is 38.358 m². Capacity 2,000 cars. The total terminal area is 265.60 Ha. The Domestic Terminal is now in the old International Terminal that has been completely renovated. The International Terminal has 62 check-in counters, 10 gates and 4 arrival luggage carousels. The Domestic Terminal has 28 check-in counters, 8 departure gates and 2 arrival luggage carousels. Aiport management just added 1,500 new luggage trolleys (July 2015). Information desks are located in both terminals. In the Bali airport; a left-luggage counter can be found next to the International Departures Terminal entrance. If you're looking for a reliable option to store your luggage for more than a day then have a look at Bali Store Luggage. The Bali Store Luggage team arranges short and long term storage of your bags and luggage. They can arrange pick-ups from your hotel if you like. There are banks and money-change offices, but you would receive a more favourable rate at banks in the towns - so just change enough for your immediate needs. A variety of shops can be found at the airport, including the duty-free Plaza Bali at International Departures - with world-class outlets such as Hermes, Burberry's and Fendi. Restaurants and cafes from Burger King and coffee shops to smart Balinese dining are open from 6 am until the last flight, in both terminals. Visa on Arrival: US$35 for 30-day visa, non-renewable. Passport holders entitled to FREE Visa into Indonesia. The Premier Lounge is no longer accepting walk-in guests. They have a smaller size lounge and now only accept business and first class customers from the airlines they have an agreement with. Right next to the Premier Lounge is the TG Lounge which in my personal opinion looks nicer than the Premier Lounge. The TG Lounge accepts walk-in guests at USD 25 per passenger. Wheelchairs, lifts and general assistance are readily available. Taxis, car rental and city transportation are in close proximity. For those wishing to hire a car on arrival in Bali, there are four car rental companies represented at Ngurah Rai Airport: Toyota, Hertz, Blue Bird and Koperasi Taxi. For more taxi rates, see Taxi fares from Bali airport. Members can add and update frequencies. Members can add and update runway information. 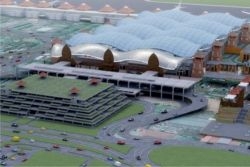 Video of new Bali Airport when it was under construction, plus Toll Road.